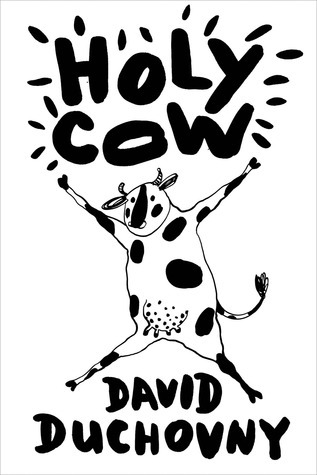 Holy Cow is probably one of the most surreal books I’ve ever read. If I had to choose one word to describe this book with one word it’s probably be quirky. What do you expect from a book told from the point of view of a cow? Elsie was a refreshing and funny narrator to read about and her voice just carried the whole story, from her discovering what really happens to cows on farms to her mission to get to India where she believes life will be better. Following Elsie on this adventure are two other farm animals Shalom, a Jewish pig and Tim, a turkey/amateur psychologist. Both are their own unique characters in their own right and it was entertaining to see how the bond between the three animals developed as they all attempt to make their own way in the wold and most importantly get away from the farm. It was just a really fun dynamic to read about and their interactions with each other and the outside world were hilarious.